Clients who are in your WHMCS database before you enable the module, will not be affected and will not require being verified. This module will only verify new clients. LOVE THIS MODULE! Makes it work like the big boys! forces them to verify their accounts phone number, either via SMS or phone call! amazing!!!!!!!!!!!!! 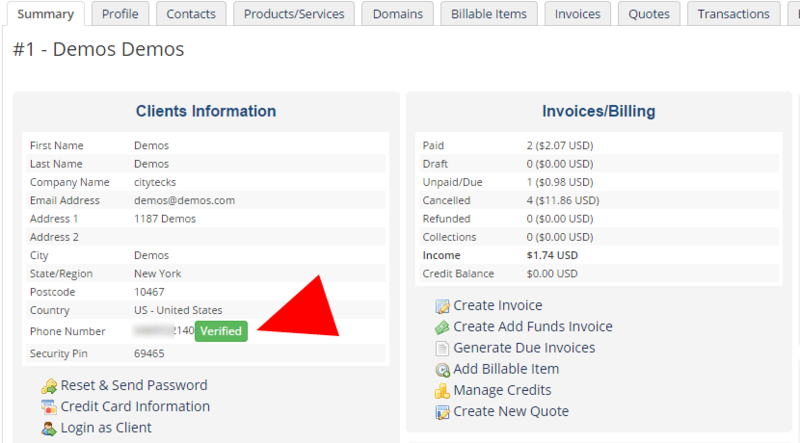 It is a Great module to prevent fraud orders. We are using the module for past two years and satisfied. Especially I love the support. No matter how silly the issue is, WHMCS Services always ready to help. Thank you. This is by far one of the best modules I use from WHMCS Services. This is a NEED to prevent fraud with your company. Many settings to customize to your liking too. Outstanding support as well! There is another module like it but it is very buggy and unstable. They take forever to update it to. So it is totally worth it to get this one. Updated fast, good support and yah it ACTUALLY WORKS! Good job WHMCS Services! This great little module has meant we have had no fraud customers create orders since installing. We did have some issues with server connections at the beginning, but WHMCS Services were straight on to it and got it sorted for us! Worst Support. My module started showing error and i raised a ticket first they take 3-4 days to reply. and now i am waiting from 03/26/2018 . till now no reply on my ticket. i was planning to buy there other modules but now i came to know its all uselss. no support after purchase. 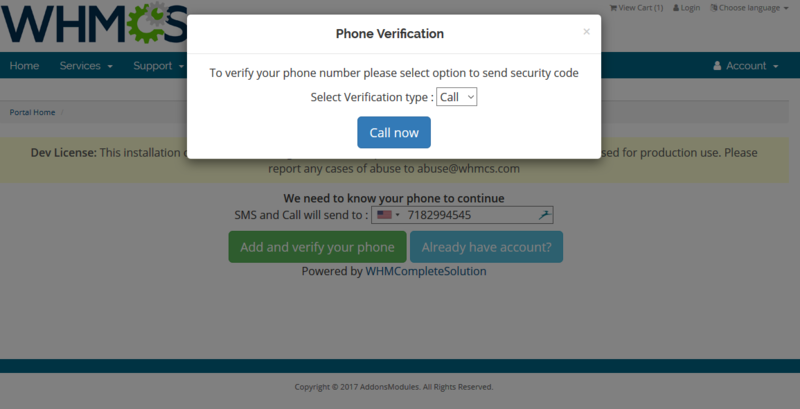 Phone Verify Module is very useful for my Clients so that they can know the Spammers & Real Clients. fonctionnel ne pas très utile, le client peu quand même s'enregistré ainsi détourner l'envoi du SMS, bref, 22 dollar de perdu. Impossible to register without passing phone number maybe is your mistake and you put checkout mode. Please open a ticket so I can look to this. I love this mod outright. However, take note it is not working with Mod Pagespeed as it add headers in the XML files, and once disabling pagespeed it work like a charm. Very good module. Helps reduce fraudulent customers!